We present an up-to-date global analysis of solar, atmospheric, reactor and accelerator neutrino data in the framework of three-neutrino oscillations. 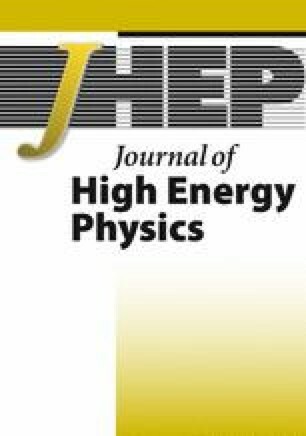 We discuss in detail the statistical significance of the observed “hint” of non-zero θ 13 in the solar sector at the light of the latest experimental advances, such as the Borexino spectral data, the lower value of Gallium rate recently measured in SAGE, and the low energy threshold analysis of the combined SNO phase I and phase II. We also study the robustness of the results under changes of the inputs such as the choice of solar model fluxes and a possible modification of the Gallium capture cross-section as proposed by SAGE. In the atmospheric sector we focus on the latest results for ν e appearance from MINOS and on the recent Super-Kamiokande results from the combined phases I, II and III, and we discuss their impact on the determination of θ 13. Finally, we combine all the data into a global analysis and determine the presently allowed ranges of masses and mixing. SNO collaboration, B. Aharmim et al., Low Energy Threshold Analysis of the Phase I and Phase II Data Sets of the Sudbury Neutrino Observatory, arXiv:0910.2984 [SPIRES]. T.B. Collaboration, Measurement of the solar 8B neutrino rate with a liquid scintillator target and 3 MeV energy threshold in the Borexino detector, arXiv:0808.2868 [SPIRES]. M.C. Gonzalez-Garcia, M. Maltoni and J. Salvado, Direct determination of the solar neutrino fluxes from solar neutrino data, arXiv:0910.4584 [SPIRES]. A. Serenelli, S. Basu, J.W. Ferguson and M. Asplund, New Solar Composition: The Problem With Solar Models Revisited, arXiv:0909.2668 [SPIRES]. Kamiokande collaboration, S.R. Wendell et al., Atmospheric neutrino oscillation analysis with sub-leading effects in Super-Kamiokande I, II and III, arXiv:1002.3471 [SPIRES]. 1.C.N. Yang Institute for Theoretical PhysicsState University of New York at Stony BrookStony BrookU.S.A.